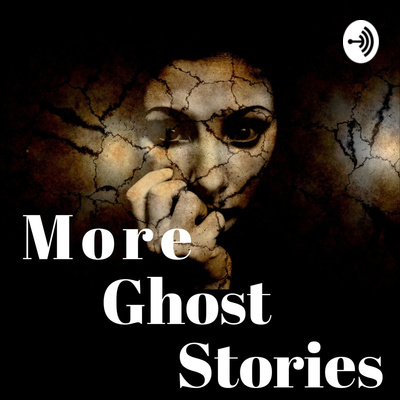 If you enjoy ghost stories, then the More Ghost Stories Show is for you. Weekly, we offer a classic ghost story for your enjoyment. Join Us. I know that you will enjoy it! The Classic stories include folklore, history, crime, supernatural events, hauntings, paranormal incidents, ghosts, mysteries, myths, angels, miracles, the occult, scary stories, oddities, and legends. Mysterious Disappearances - Three short tales of men who have vanished living their ordinary lives, sometimes in full view of witnesses. The stories include: The Difficulty of Crossing a Field, An Unfinished Race, Charles Ashmore’s Trail, and Science to the Front. "Present at a Hanging and Other Ghost Stories: Mysterious Disappearances" written by Ambrose Bierce and narrated by Peter Yearsley. Ambrose Bierce lived from 1842 - 1914. He was a satirist, critic, poet, short story writer and journalist. While serving as an observer and journalist with Pancho Villa’s Army in 1914, he disappeared and was never been seen again. You can always find us at www.MoreGhostStories.Com. Mysterious Disappearances - Three short tales of men who have vanished living their ordinary lives, sometimes in full view of witnesses. The stories include: The Difficulty of Crossing a Field, An Unfinished Race, Charles Ashmore’s Trail, and Science to the Front. Taken from "Present at a Hanging and Other Ghost Stories: Mysterious Disappearances" written by Ambrose Bierce and narrated by Peter Yearsley. Ambrose Bierce lived from 1842 - 1914. He was a satirist, critic, poet, short story writer and journalist. While serving as an observer and journalist with Pancho Villa’s Army in 1914, he disappeared and was never been seen again. You can always find us at www.MoreGhostStories.Com. A young woman tries to outsmart a ghost to save her family from financial ruin. The Intoxicated Ghost is a short classic paranormal story by Arlo Bates. He was an American author, educator, and newspaperman. He lived from December 16, 1850 – August 25, 1918. He was born at East Machias, Maine. He graduated from Bowdoin College in 1876. In 1880 Bates became the editor of the Boston Sunday Courier (1880–1893) and afterward became a professor of English at the Massachusetts Institute of Technology. He was elected a Fellow of the American Academy of Arts and Sciences in 1900. The Intoxicated ghost is one of his best stories.